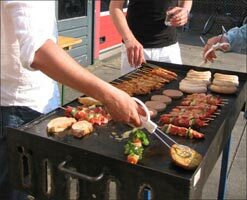 A barbecue is traditionally a popular fundraiser, especially if it features giveaways and attractive door prizes. Get sponsors to donate a bicycle, pricey bottles of wine, Spanish classes, gift certificates…anything that will make your barbecue sound more attractive. For sizeable cash donations, let sponsors display company banners and provide an ad for inclusion in the event program. Sponsors can also provide the food and beverages, grills and fuel, tables and chairs, tents, etc. Your barbecue can be an all day fundraiser – you can deliver lunch from about 11 a.m. to 2 p.m. and serve supper from 5-7 p.m.
Get a master chef to roast a pig, and have him or her teach patrons about the innumerable techniques of the porcine culinary arts. 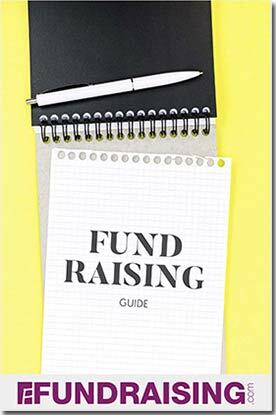 Do special group order forms for each member of your fundraising team with a sign up sheet that can be passed around to coworkers. You can add value and charge a little more for your barbecue fundraiser if you include attractions such as an outdoor concert featuring local musicians, silent and live auctions, and have games for the kids. Offer your patrons an entire food court with several dishes to choose from – barbecue beef, pork or chicken, catfish, soul food, country cooking and more. Another idea for your fundraising barbecue is a street fair offering wares from local craft vendors and area businesses. A fundraiser like this could be a massive undertaking, but it has the potential to bring in a lot of money too.